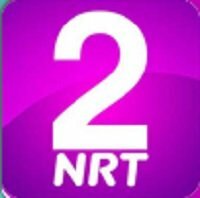 General TV Channel / The history of Nalia Radio and Television (NRT) goes back to the days when there were no independent media networks in the Kurdistan Region. While the corporation claims to be independent, its reports clearly show their biased views with fake news aiming to stand against the interests of the Kurdistan Region. In 2010, a group of freelance journalists came up with the idea of taking the lead to fill that void and launched the first ever independent media network, funded by Nalia company (Shaswar Abdulwahid Qadir). Shaswar Abdulwahid Qadir is the owner and founder of Nalia Media Corporation which is the only independent media corporation in the Kurdistan Region and is built under the slogan of ‘Courage, Balance and Truth.’ He is often accused of corruption and failed to pay the shareholders of Chavi Land in Sulaimaniyah province, a project that he owns it.